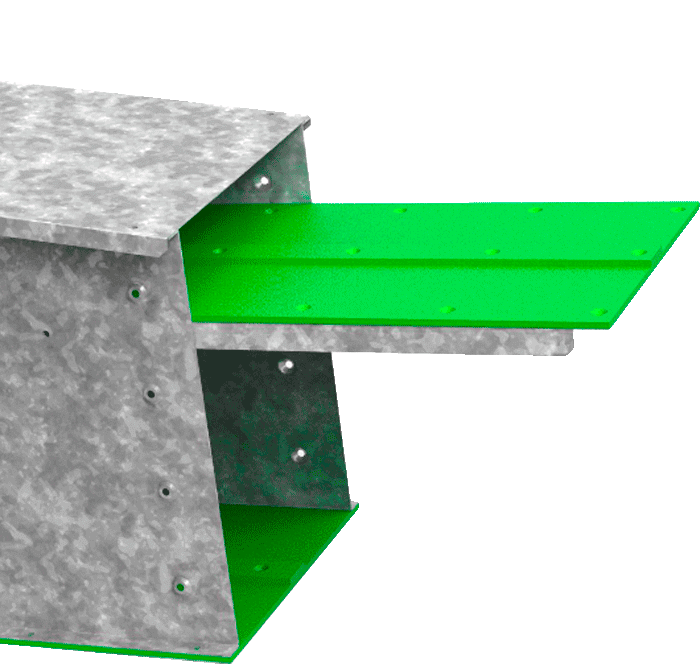 The new “TCZ” Z-shaped chain conveyor developed by Silos Córdoba allows different applications and helps the customer save money in civil works. 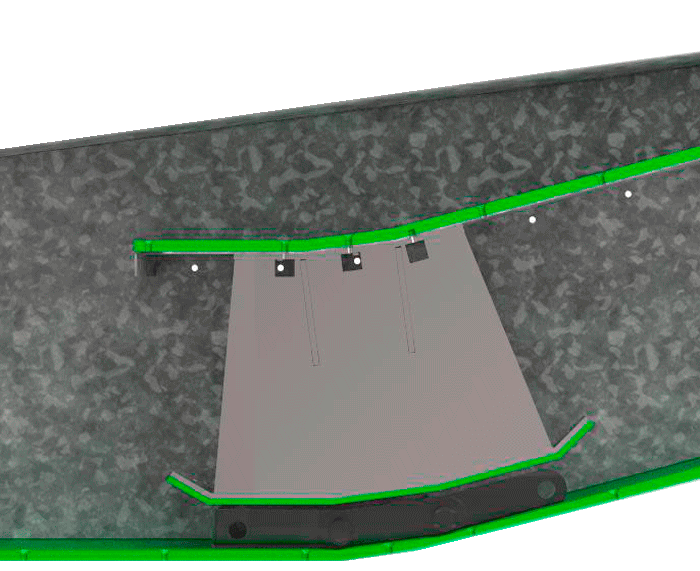 It allows the possibility of combining different conveyor sections with different slopes in order to provide solutions for possible needs or obstacles within the installation. 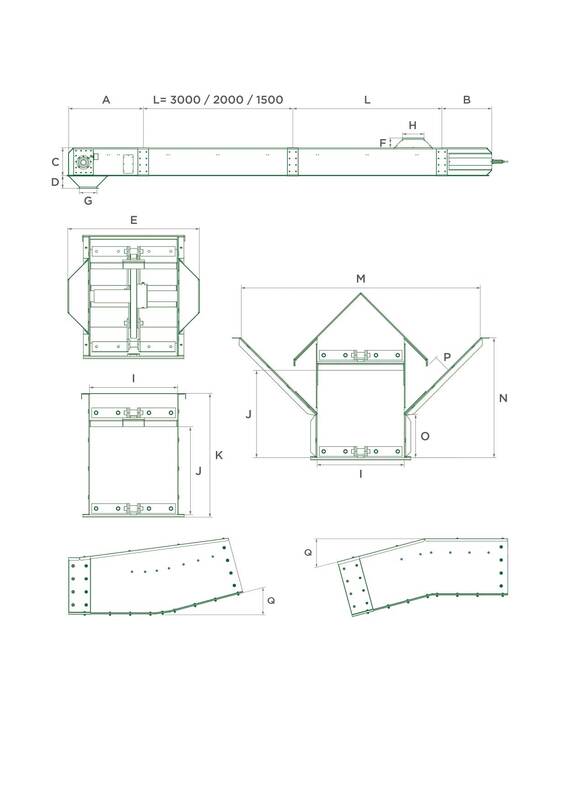 It is a simple design that combines the features of the TCI chain conveyor with the design of new conveying sections, for a number of advantages such as savings in civil works, the possibility of overcoming obstacles and level changes, and the possibility of installing it on a vent conveyor to receive material or prevent major slopes on long chain conveyors. Simplifying or avoiding civil engineering works, with the consequent saving of money. Connecting a vent conveyor to an elevator. This possibility prevents the need for civil engineering work so an elevator can be positioned to the same level as a chain conveyor. The machine requires no pit, and if needed, it is extremely small compared to a traditional installation. When you need to make adjustments in level: first straight and then inclined. With this option and starting with the conveyor load in a horizontal position, changes in levels can be overcome and then continue conveying in a sloped position. When you need to make adjustments in level: first straight, then inclined and finally straight. This option helps overcome obstacles due to changes in level and then return the conveyor to a horizontal position. When you need to make adjustments in level: first inclined and then straight. With this option and starting with the conveyor load in a sloped position, obstacles can be overcome to then continue conveying in a horizontal position. The inner skid provides a smoother operation. The inner skid installed on the inside of the ascending section guides the chain for directional changes and provides more even operation. The ascending section unit enables changes in direction. The ascending section unit enables changes in direction, allowing different slopes. The descending section unit allows the conveyor to move in a horizontal direction. It also allows different slopes. Anti-wear HDPE material 100 ensures long service life. 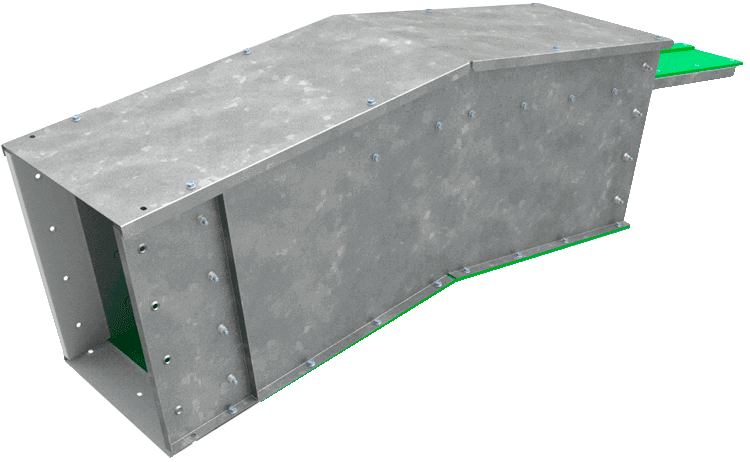 The bottom as well as the upper guide of the sections features anti-wear HDPE 1000 material in order to guarantee a long useful life of the surfaces in contact with the chain. * Specified values have been determined taking a 750 kg/m3 material as reference. Data shown are theoretical and may vary depending on the material and the drive unit. * The dimensions specified are subject to change without prior notice.